Too Many Gods, Too Many Religions? Most people are surely at least dimly aware of how much diversity there is and has been in human religions throughout our history and all around the world. I'm not sure, however, if everyone fully appreciates all the implications which this diversity can have for the religious beliefs which they so devoutly and fervently hold to. Do they realize, for example, that others have held to their religious beliefs just as devoutly and just as fervently? One problem may be that so much religious diversity lies in the past rather than the present. Religions of the distant past, however, tend to be labeled "mythology" rather than religion and are thus dismissed. To get an idea of what that label connotes to people today, gauge their reaction when you describe Christian, Jewish, and Muslim beliefs as "mythology." Technically that's an accurate description, but for so many people "myth" is a synonym for "false," and thus react defensively when their religious beliefs are labeled myths. This, then, gives us a good idea about what they think of Norse, Egyptian, Roman, Greek, and other mythologies: their very label is a synonym for "false" and so we can't expect them to give those beliefs any serious consideration. The fact is, though, that adherents of these belief systems did treat them seriously. We can describe them as religions, though to be fair they were so all-encompassing that they could go well beyond religion and become the entire way that people lived. Of course, people took their beliefs seriously. Of course, people treated these beliefs as being just as "true" as modern adherents of religions like Christianity (which means that some would perceive the stories as more symbolic while others would take them more literally). Were these people wrong? Were their beliefs wrong? Hardly anyone today believes them, which means just about everyone thinks that they were empirically incorrect. Yet at the same time, they are utterly convinced of the truth of their own religion. If it seems unfair to compare Christianity to Greek mythology, we can make a more general comparison: monotheism to polytheism. It may be that most people who ever lived were polytheists or animists of some sort, not monotheists. Were they really all wrong? What makes monotheism more likely to be true than polytheism or animism? Obviously, there are many comparisons we can make with contemporary religions: Jews are no less devout than Christians; Christians are no less devout than Muslims; and adherents of these Middle Eastern religions are no more or less devout than adherents of Asian religions, such as Hindus and Buddhists. They are all just as convinced of their religions as the others. It's common to hear similar arguments from them all for the "truth" and "validity" of their religions. We can't credit any of these religions, past or present, as being more credible than the others simply because of the faith of the adherents. We can't rely on adherents' willingness to die for their faith. We can't rely on claimed changes in people's lives or the good works they do on account of their religion. None of them have arguments which are unequivocally superior to any other. None have supporting empirical evidence which is stronger than any other (and any religion which insists on the need for "faith" has no business trying to make itself out to be superior on the basis of empirical evidence anyway). So there is nothing internal to these religions or to their believers which allows us to pick any out as superior. That means we need some independent standard which allows us to pick one, just as we use independent standards for picking a safer car or more effective political policy. Unfortunately, there aren't any standards of comparison which demonstrate that any religions are superior or more likely to be true than any others. Where does that leave us? Well, it doesn't prove that any of these religions or religious beliefs are definitely false. What it does is tell us two things, both of which are very important. First, it means that many common claims on behalf of religions are irrelevant when it comes to evaluating how likely a religion is to be true. The strength of an adherent's faith and how willing people in the past were to die for a religion just doesn't matter when it comes to the question of whether a religion is likely true or reasonable to believe as true. Second, when we look at the great diversity of religions we should notice that they are all incompatible. To put it simply: they can't all be true, but they can all be false. Some try to get around this by saying that they all teach "higher truths" that are compatible, but this is a cop-out because adherents of these religions don't follow simply these alleged "higher truths," they follow the empirical claims being made. Those empirical claims of all these religions can't all be true. They can, however, all be false. Given all this, is there any good, sound, rational, reasonable basis for singling just one interpretation of one set of traditions from one of these religions which should be treated as true while all the others are treated as false? No. 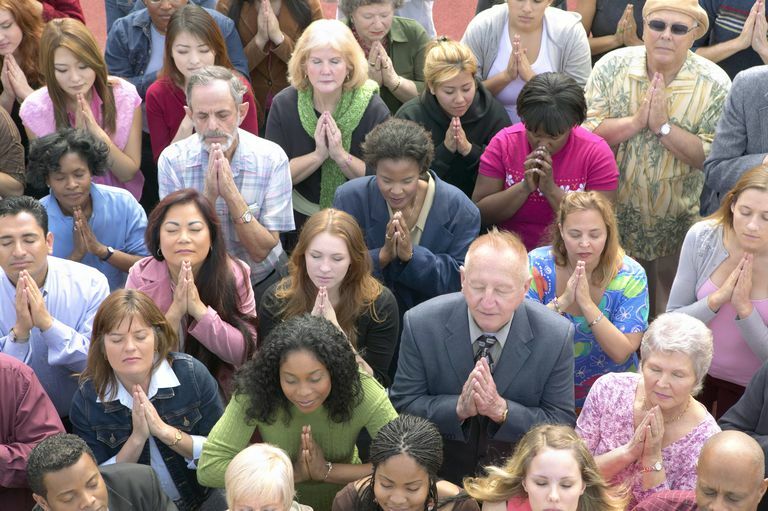 It's not logically impossible that one interpretation of one tradition from one religion might really be true after all, but the great diversity of beliefs means that anyone who claims this will have to demonstrate that their chosen religion is unequivocally more likely to be true and is more credible than all the others. That won't be easy to do. Should Atheist Parents Teach Religious Beliefs to Their Children? What Is the Freedom From Religion vs. Freedom of Religion Myth?